CLS partners with international universities to mobilize understanding and boost civil responses to refugee crises. Dr. Shuayb (R) with Dr. Milner on LAU Beirut campus. Drs. 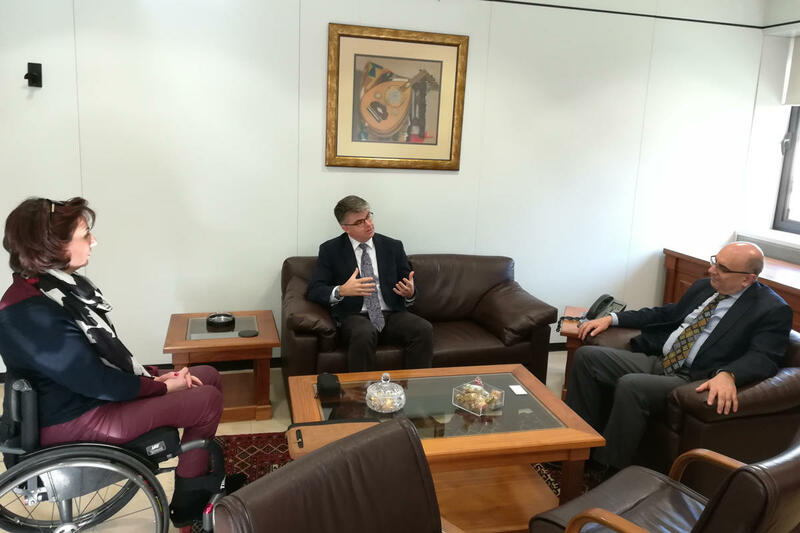 Milner and Shuayb during their meeting with Provost Nasr. And until the day comes where humans achieve global peace and prosperity, Dr. Milner says, the world needs to be equipped with the tools to understand and respond to its various refugee crises. In pursuit of those tools, four prominent Canadian universities – Carleton University, University of Ottawa, McGill and York University – partnered with Oxfam and Care Canada to initiate the plan for a project, the Local Engagement Refugee Research Network (LERRN), which secured seven-year funding by the Social Sciences and Humanities Research Council of Canada in 2018 amounting to $2.5 million. “The idea is to have working groups in four major refugee-hosting countries: Lebanon, Jordan, Kenya and Tanzania,” he said, adding that the goal of the research is three-fold: to collaborate with existing universities and civil society groups that are conducting research, to identify refugees’ needs and priorities, and to amplify their research to reach a global audience. 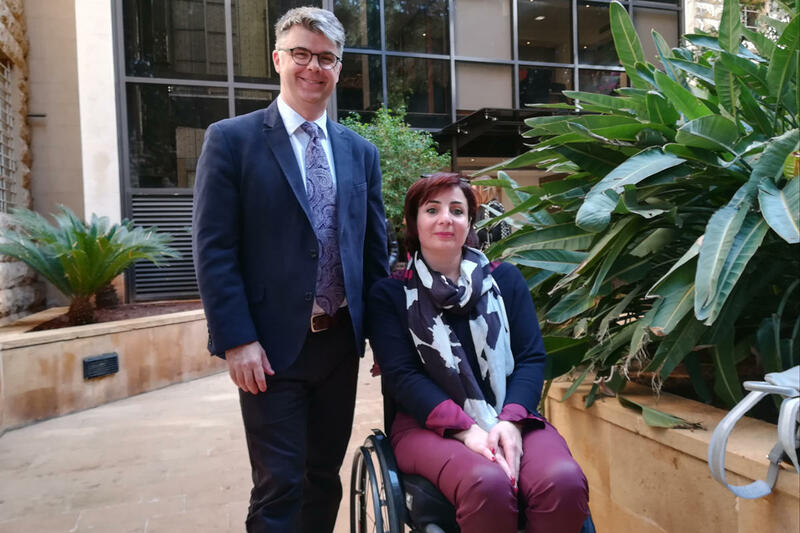 In Lebanon, work on refugee issues from the Centre for Lebanese Studies (CLS) at LAU stood out, and contact was established with Director Maha Shuayb. “Our aim is to branch out of the humanitarian relief model and evolve into development work,” said Dr. Shuayb, whose experience on refugee issues spans several years, with the most recent projects including access to education and education in emergencies. Currently, she is also working on a research grant with the International Development Research Center called RELIEF, which she hopes to combine with LERRN. As she explains, the timeline of this project will begin with identifying areas of priority, which will inform a summer course for graduate students and civil society actors from the four countries – including a handful of graduate students from LAU who are currently majoring in relevant topics. The first course will take place this summer in Kenya, with a plan to rotate among the three other refugee-hosting countries over the duration of the grant – including potentially Lebanon. Other local and international organizations are involved, as well as an advisory committee that includes Global Affairs Canada. This Canadian government body will, as Dr. Milner hopes, be able to “create the opportunity for us to get the results of our work into conversation with those who can most use it,” he said, referencing global events that will enable researchers to present the information to an international audience.